NITRO® and Bass Pro Shops® Elite Team pro Edwin Evers, fishing in an all-new NITRO Z19, captured his first win this weekend at the 2016 GEICO® Bassmaster Classic® competition in Tulsa, Oklahoma. Evers, a 13-time Classic qualifier and Oklahoma native, earned the title with a 29-pound, 3-ounce grab on the final day of the tournament. His three-day total was 60 pounds, 7 ounces. The win further solidifies Evers as among the best in the elite series and fulfills a lifelong personal dream to win the iconic bass angler tournament. "All of us at Bass Pro Shops and Tracker Marine Group are extremely proud of Edwin," said Johnny Morris, Bass Pro Shops founder and a former Bassmaster Classic competitor. "Having partnered together for the past 20 years since his days as a NITRO State Team Pro, we have an extremely high regard for Edwin and his family and can't think of a more deserving young man." Evers fished the Classic on a NITRO Z19, an all-new 200 horsepower-class performance bass fishing boat capable of speeds approaching 70 miles per hour that made its debut at the competition. Tracker Marine Group (TMG), a division of Bass Pro Group, is a leading boat builder in the United States. Founded in 1977, TMG manufactures TRACKER® aluminum fishing boats, SUN TRACKER® and REGENCY® pontoon boats, NITRO performance fishing boats, TAHOE® family sport boats, MAKO saltwater fishing boats and ASCEND® kayaks in the Midwest. Each brand is manufactured within 100 miles of company headquarters in Springfield, Missouri. TMG boat brands are sold and serviced through more than 90 Bass Pro Shops® locations and more than 200 independent dealers from coast to coast. Visit trackermarine.com for more information. Bass Pro Shops®, which specializes in outdoor fun, operates 98 stores and Tracker Marine Centers across America and Canada that are visited by more than 120 million people every year. Bass Pro Shops stores, many of which feature restaurants, offer hunting, fishing, camping and other outdoor gear while their catalogs and website serve shoppers throughout the world. The company's Tracker Marine Group® (http://www.trackermarine.com), a leading brand of fishing boats for more than 37 years, manufactures and sells a variety of boats for fishing and cruising. Family fun is on tap at Bass Pro Shops resort Big Cedar Lodge® (http://www.bigcedar.com), voted by Travel + Leisure as one of the top 50 Best Hotels for Families in the U.S. For more information, visit http://www.basspro.com. To request a free catalog, call 1-800-BASS PRO. 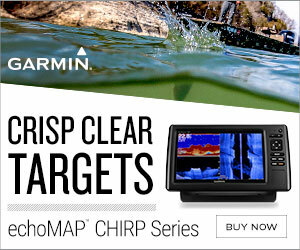 Follow us on Facebook at http://www.facebook.com/bassproshops.